The mighty B-17 Flying Fortress, the iconic WWII strategic heavy bomber of the USAAF, and the last remaining flying B-17 outside of the USA. Named 'Sally B', she is operated by B-17 Preservation as a memorial to those who gave their lives flying bombing missions in the B-17 from British bases during the Second World War. 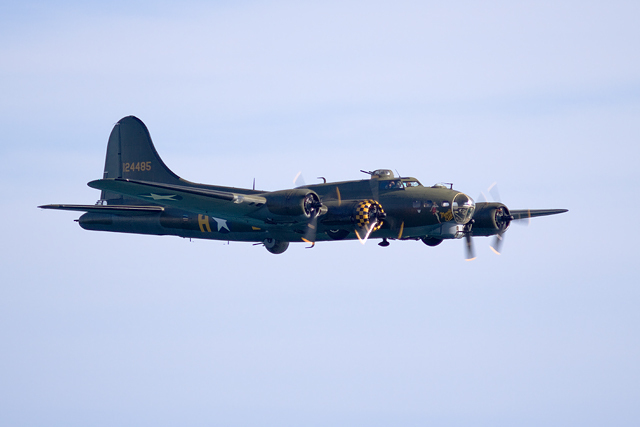 Sally B starred in the 1990 film Memphis Belle that famously captured the bravery of the American aircrew that flew these missions. This page has been viewed about 199 times.